Vizhinjam is a small coastal town just three km from Kovalam, the popular beach destination in Thiruvananthapuram district. There is a large natural sea port in Vizhinjam. which is located close to the international ship route. The areas in and around Vizhinjam are known for their state-of-the-art ayurvedic treatment centers, luxury spas and internationally acclaimed beach resorts. 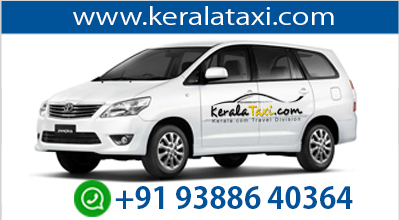 It is located on the outskirts of the capital city 16 km away from the city centre and 1 km away from the city limits, but located within the Thiruvananthapuram metropolitan area. As it’s a natural port, it is estimated that at least 50% of the nearly 20,000 ships that pass through the Suez canal every year would anchor here. It is expected that with the functioning of the port in full swing, the ports of Colombo, Singapore and Dubai might face serious competition from India. This will boost the trade and commercial activities not only in Kerala but also the entire country. It is estimated that the cargo movements to the southern, northern and western regions may find it more cost-effective to use Vizhinjam as a gateway/trans-shipment terminal instead of the ports presently being used in Colombo, Singapore, Salalah, etc. As the sea is 23 to 27 metres deep at the selected site, this is said to facilitate berthing of large container ships. The $1 billion deepwater international seaport and container transshipment terminal at Vizhinjam is supposed to be 150 metres in width. About 2.5 to 2.75 km² ie 600 to 700 acres would be made available through reclamation of the sea. The port would have two breakwaters of 1.5 km and 6 km each with harbour basin and wharfs. There would be about 30 berths, most of which would be capable of handling Mother Vessels. According to expert opinion, a high potential for a new port is being seen as India is going to need additional capacity in the coming years. Hence the relevance and significance of Vizhinjam port. The Government has committed to develop the basic infrastructure, which includes rail and road connectivity to the port site, and has set aside Rs 450 crore for the purpose. Related work would be undertaken by a separate company, the Vizhinjam International Sea Port Ltd (VISL).Apart from the Ambani brothers, several domestic companies as well as overseas majors have evinced interest in the development of the deepwater transshipment terminal. 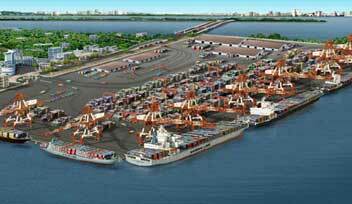 The Vizhinjam terminal is seen as a crucial scheme for the Indian shipping sector. The established site is just 10 nautical miles from a major international shipping route. In addition, this site has a natural depth of 20 metres as close as one nautical mile from the coastline. The high natural depth means minimum capital dredging would be required and thus the whole scheme would be cost effective.